We are pleased to announce that NarmourWright Architecture and SGA Architecture have merged. The newly combined firm fully integrates the expertise, capabilities, services and locations of both companies and will continue to be led by seasoned professionals. The new company will be called SGA | NarmourWright Design, in recognition of the merger and the legacy that both firms have worked so hard to build. Both firms are eager to join forces, sharing values, culture and commitment to the highest level of service to our clients and industry partners. The merger marks a new wave of expansion in our geographical footprint, menu of services, industry experience and team of employees. The new firm is comprised of talented, seasoned professionals and diversified experience, featuring comprehensive portfolios in design, planning, architecture, project management, interior design and landscape architecture. SGA | NarmourWright Design will implement projects within various industries including; education, parks and recreation, community, multi-family and commercial. We’re also excited to provide more turnkey services and multi-disciplinary design such as interiors and planning. The company plans to continue growing its workforce to better serve our clients throughout the Southeast and Mid-Atlantic region more locally. The new company will have four offices in the Carolinas; Charlotte, N.C.; Greenville, S.C.; Charleston, S.C.; and Pawleys Island, S.C., totaling about 45 employees. The new firm will incorporate the best aspects of both companies, including each of our business repertoires and passion for architectural design. SGA | NarmourWright Design will benefit from the blended breadth and depth of experience while sporting the energy and technology of a fresh, modern firm. We look forward to working with you in the future. If you have questions on what our merger means for you, please contact us. For more information about our firm, CLICK HERE to visit our Landing Page. 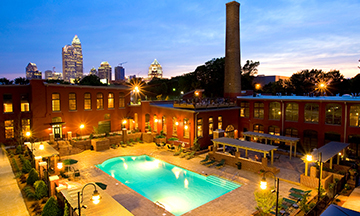 Charlotte-based NarmourWright has over 45 years of experience in designing multi-family, adaptive reuse, commercial and community sites. 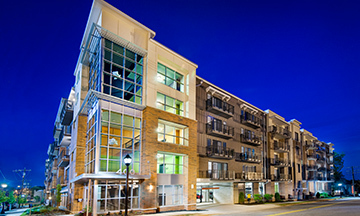 Known as the foundation of multi-family architecture in Charlotte and the Southeast, the company has a long-standing reputation in the industry for its collaborative nature, passion for inspired solutions. The firm excels at creating sophisticated designs that enhance the community and building enduring relationships with clients, colleagues, contractors and consultants. 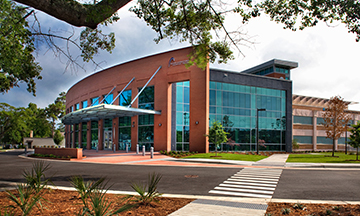 Established and headquartered in Pawleys Island, S.C. by Steve Goggans, SGA has served clients throughout South Carolina for 32 years and has additional office locations in Charleston and Greenville. The versatile company closely integrates the disciplines of architecture, landscape architecture, planning, and interiors, allowing for a more comprehensive approach to design and a more collaborative process. SGA has expertise in both public and private projects, with an extensive portfolio that includes education (K-12 and higher), municipal, parks and recreation, residential design and resort hospitality. 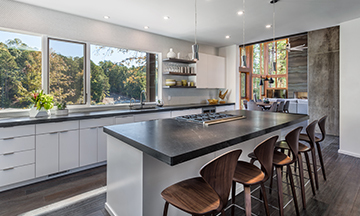 The company was the 2018 recipient of the SCAIA Firm of the Year Award and has received numerous design awards from the SCAIA, including 9 Robert Mills awards and 2 Honor awards.